Come celebrate St. Patrick's Day with us in downtown River Falls, where a variety of activities await you! 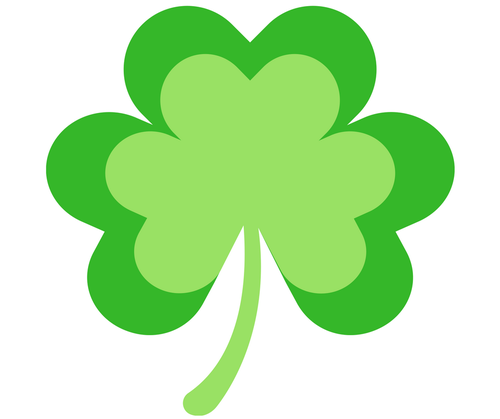 1:00p Pot-of-Gold Medallion Hunt - Clues to find the medallion will be posted every hour at Veteran's Park. Compete with friends and win $50 in Chamber Checks. 1:00-5:00p Potato Soup Crawl - Sample soup from participating businesses, vote for your favorite, and enter for a chance to win $25/$50/$75 in Chamber Checks. Prizes will be awarded at Veteran's Park following the bed races. The winner of the Potato Soup Crawl will also be announced at this time. 1:00-5:00p Pub Poker Walk - Kick off at any participating bar by grabbing a poker card and making your way around downtown River Falls to collect a full hand. Top poker hand wins! Winner announced at Veteran's Park following the bed races. Mei Mei's Cookies & Creamery: Merry Magpie face painting onsite from 1:00-5:00p; Irish car bomb cookies available for ONE DAY ONLY (preorders are now being accepted)! Johnnie's Bar: Enjoy live music by the Dangerously Irish Rangers (starting at 3:00p) while enjoying traditional corned beef & cabbage on a hard roll (free will donations will be accepted and contributed to a local nonprofit). Jameson, Bushmills, Tullamore Dew, Guinness, and more on special along with an apparel sale. It will be a lively good time at Johnnie's Bar! Treasures from the Heart: Join Treasures from the Heart as they celebrate their 16th anniversary with sales, specials, and giveaways all week long! Stop in Saturday, March 16th at 11:00a for birthday cake (while supplies last)! As you shop, look for GOLDEN TICKETS hidden throughout the store to win a $25 gift certificate!